A bright and appealing smile can greatly improve self-confidence while creating positive lasting impressions. At Plaza Family Dental Group, Drs. 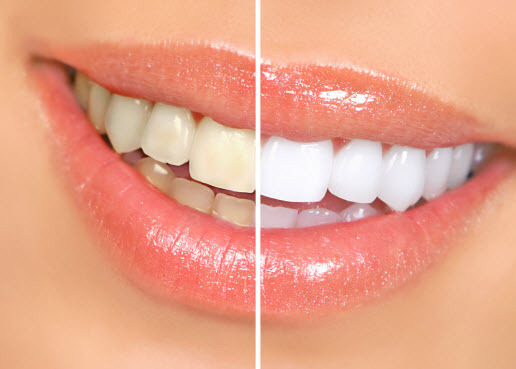 Jason Murphy and Thi Thhi Phan proudly offer comprehensive teeth whitening to help you achieve the Hollywood-worthy smile you’ve always wanted. If you are interested in brightening your smile, contact our office today to schedule your comprehensive consultation. While teeth are resilient, they are still vulnerable to discoloration because enamel is absorbent. Many factors of daily life such as diet and certain medications can contribute to staining. Darkly pigmented foods and drinks like berries, coffee, red wine, and soda contain ingredients that can cause enamel changes. Although diligent oral hygiene is always encouraged by our team, brushing often can’t reach the inner layers of teeth where stains tend to settle once they pass through the enamel. Our team uses a professional-grade gel to get rid of persistent staining. We carefully monitor the solution as we apply it to the surfaces of your teeth, then let it sit for a short time. During this process, the specialized gel breaks down the chemical compounds that make up stains, gently reducing them and lightening your teeth by several shades. We continue our comprehensive approach to enhancing your smile effortlessly by offering take-home whitening products as well. This method involves obtaining an impression of your unique dental structure to create custom-made trays that fit perfectly with your smile. These trays are provided to you in a take-home kit which includes the whitening gel. Although the solution used for at-home whitening is less concentrated than our in-office mixture, it’s made so that you can brighten your smile at your own pace, safely and effectively. If you’re less-than-satisfied with your current smile, contact our practice today! We welcome the opportunity to provide you professional teeth whitening focused on improving your overall oral health and quality of life.